²Cash Rewards Card: “Cash Back Rewards” are the rewards you earn under the program. Cash Back Rewards are tracked as points and each point in Cash Back Rewards earned is equal to $0.01. You may simply see “Cash Back” in marketing material when referring to the rewards you earn. You will earn 1 Reward Point (“Point”) for each dollar of eligible Net Purchases charged to your Account during each billing cycle. 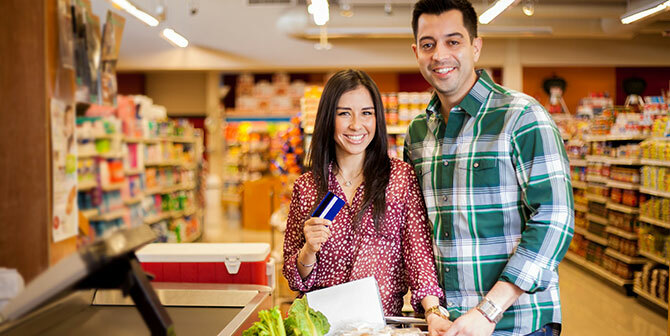 You will also earn 1 additional Point (for a total of 2 Points) for each dollar of eligible Net Purchases charged to your Account during each billing cycle for any merchant classified as supermarket. The number of additional Points earned on supermarket Purchases is unlimited. In addition, you will earn 2 additional Points (for a total of 3 Points) for each dollar of Net Purchases charged to your Account during each billing cycle at merchant locations that are classified in any of the following merchant category codes: automated fuel dispensers and service stations, up to a maximum of $6,000 spent during each 12-month period commencing on the anniversary date of this Account. Automated fuel dispenser and service station purchases above $6,000 (for the remainder of that 12-month period) will earn at a rate of 1 Point for each dollar of Net Purchases charged to your Account during each billing cycle. Points expire five years from the end of the quarter in which they are earned. ³Bonus rewards points or cash back will be applied 6 to 8 weeks after first purchase and are not awarded for balance transfers or cash advances. One-time bonus rewards will be awarded after eligible net purchases totaling $1,000 or more are made to your account within three months from account opening.